Franchise Record Pool is proud to announce the release of the long awaited live interactive mobile App. Unlike any other record pool Apps this App takes it up a notch by allowing our members to not only view and listen to all tracks but to download music to any PC while on the go. Load the SPINS software on the PC you want to download music to, simply click the download button next to each track and the tracks are automatically downloaded to the designated folder on the PC. There are no queues or additional steps to take when you go the PC as the SPINS software instantly downloads the tracks the moment you click the download button. You can even create folders or folders within folders for the ultimate playlist. The most advanced record pool App has gotten better with more features to come. View, listen and download tracks instantly when on the go. View music videos added to the videos section. Create folders or sub folder for the ultimate playlist. Connect with other DJs live. Search for Franchise Record Pool app from your mobile device app store. After installation log in to app using your Franchise Record Pool username and password. Filter track display by selecting Music Bins from the top menu or Specialty Bins just the same as the website. Search for any track by clicking on the search icon at the bottom menu and entering your search criteria. Listen to any track by clicking on the speaker icon next to each track. 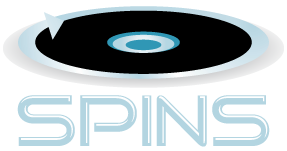 Download any track to a PC with our SPINS software running by clicking on the shopping cart icon next to each track. Tracks will be automatically download to the PC. Please note that the PC must have our SPINS software running and internet connection. Click on the Video menu on top to view all videos added to the pool. (You cannot currently download videos via the app). Click on the Account Options menu at the bottom of the app or the avatar at the top right hand corner to edit your profile, change your password, update your credit card, edit your feedback setup or log out. Download FRP's innovative and exclusive SPINS interactive software for the ultimate user experience of the largest and most advanced record pool on the web. You will also be able to connect with other members, view their playlist when playing live and download instantly any tracks available on Franchise by simple clicking the download button next to each track in their list. Best of all you will be able to download music to your computer when you are on the road using our App. If that is not enough you will be able to interact with your audience by viewing shouts and request live eliminating those distracting trips to the DJ boots. You are now ready to exceed your destiny. Downloads music to folders on the PC created using the App instantly. Connect with other members and chat, view playlist and download from each other. Facilitates quick download for quick play at live gigs. Organize your playlist by gigs every time you start your DJ software. Chat with your audience in groups or private. View audience live request or shouts via SPINS floating transparent mode you can place anywhere on the screen. Playlist is auto saved by gig name & date for future references of party rocking sets. Download SPINS for your PC type below (Windows or Mac). You will be automatically prompted to log in to Twitter and Facebook with Twitter as the first prompt. You can toggle posting to Facebook and Twitter On and Off using the Facebook On/Off buttons or Twitter On/Off buttons at the bottom of the software. Create your DJ profile (One time only) by selecting Settings from the menu then select DJ Profile. Let SPINS know your location by creating a gig. Select Settings then select Where I'm Playing. You will also be automatically prompted to do this whenever you launch your DJ software (Serato or Traktor). Start your DJ program and begin playing. Note that because you are opening the DJ program for the first time you will be prompt to create a new gig or update the current one. Because you already created one you can close out this pop up. Notice tracks being posted to the Live Playlist after a third track is added to the decks as the software determines which deck is actually being played. The Online button is a section which allows you to search and connect with other DJs using the SPINS live. The left section shows all DJs online or DJs you add to your favorites who are online. You can also search for DJs by name or location in that section as well. The right section allows you to view the profile of the selected DJ, Chat with that DJ or view their playlist where you can download tracks from their playlist in real-time providing you are a current member of Franchise and the track is available in Franchise's database. The Search FRP Tracks button allows you to search FRP music database just the same as the website. 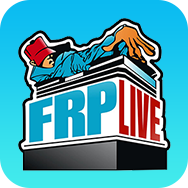 Here you can download tracks to any folder you choose allowing you to instantly get tracks from FRP while playing live. All you will have to do is drag the folder into your DJ software to view the files you download for instant play. After closing out your DJ software or ejecting the last song you will have your completed playlist you can export to Facebook or a file on your computer by selecting the Previous Playlist button and clicking on the Export button on the top right hand corner of each playlist header. Close SPINS when finish. When using SPINS again you will only need to enter your venue name and venue location. Everything is saved for quick and easy use. ENJOY. Please note that SPINS currently only available for Mac OS. Contents on this site is copyright © 2019 by Franchise Record Pool.